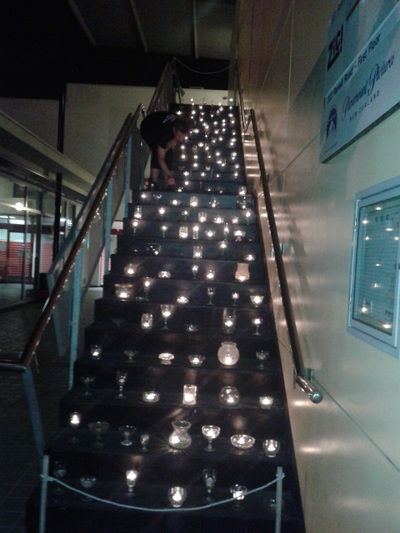 STAIRWAY TO HEAVEN IN THE ARCADE AT 297 TO 299 PARNELL ROAD. 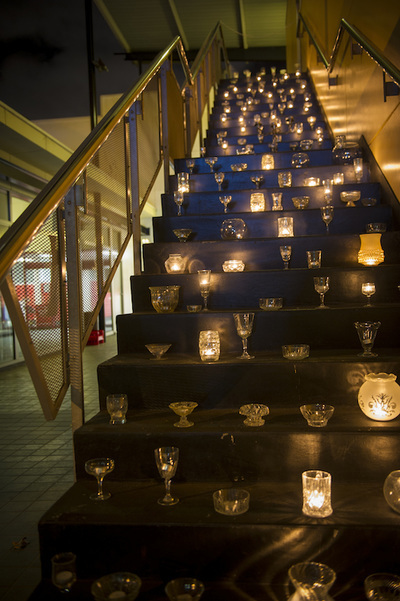 Be transported by Sally Lush’s magical stairway of twinkling and shimmering candles in crystal glass. 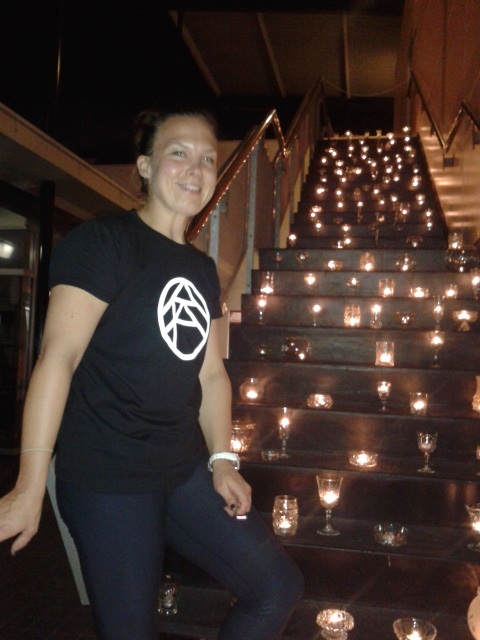 Many thanks to Clara Evans ( pictured here) my assistant for attempting to keep the hundreds of candles burning all night with ever increasing winds funneling up the stairs prior to cyclone Pam!